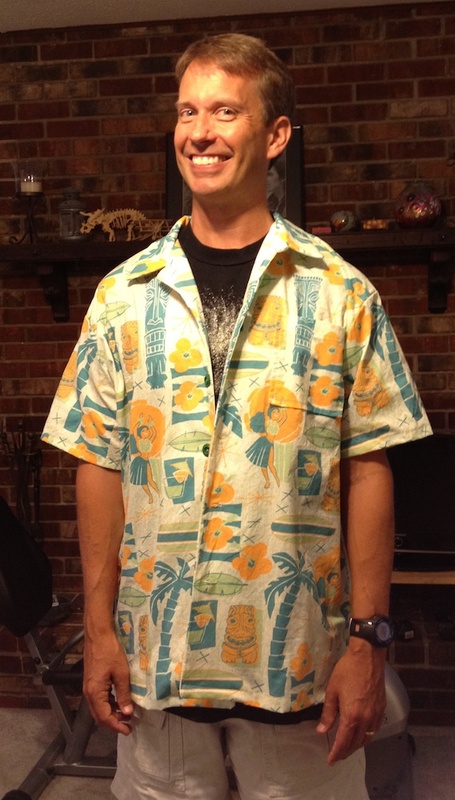 I sewed! 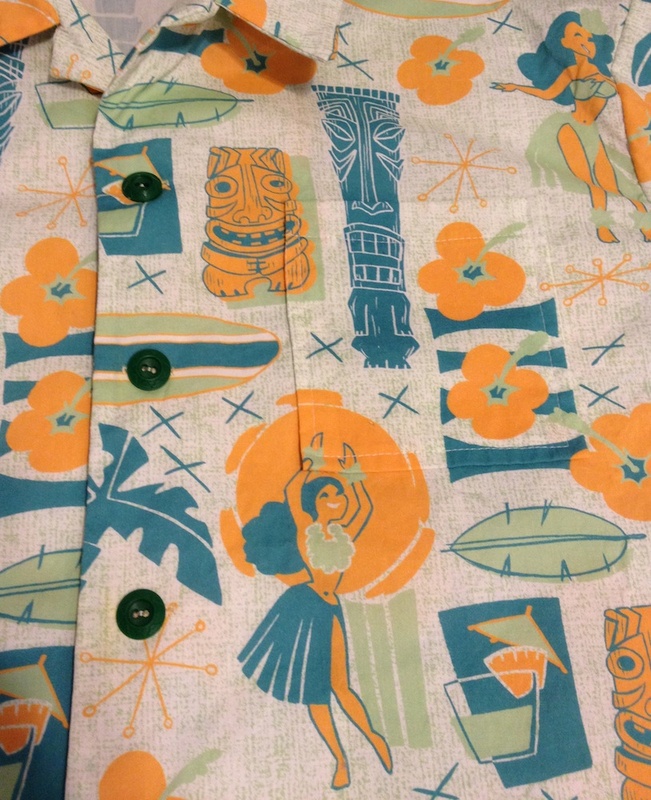 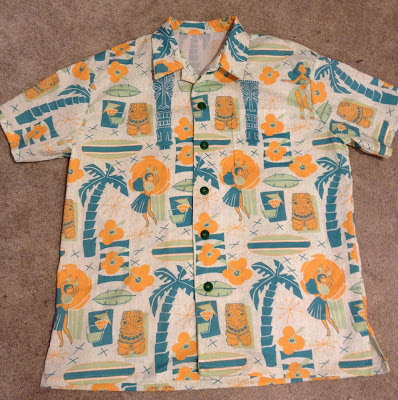 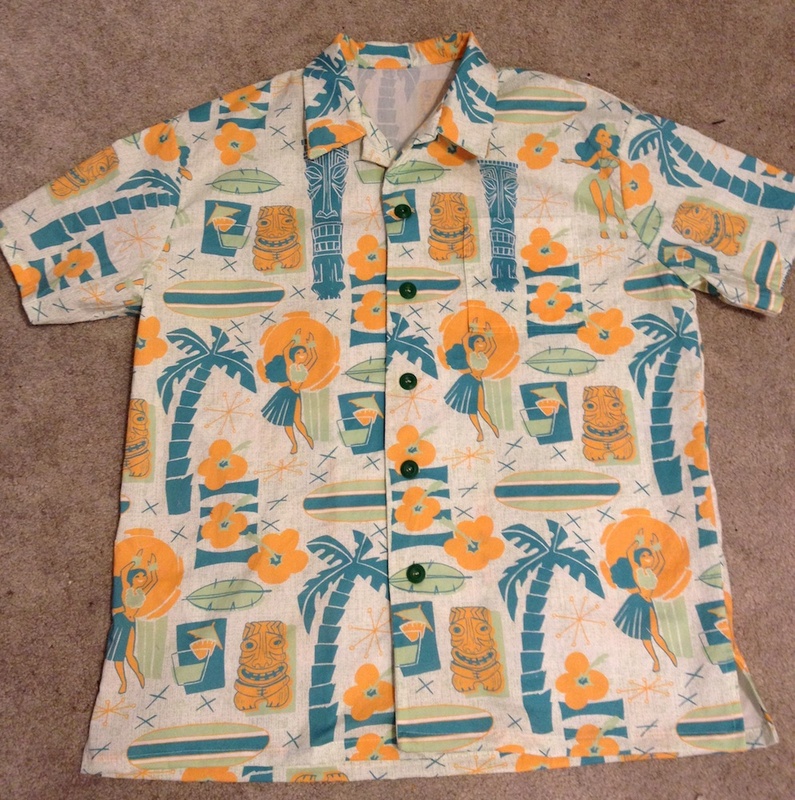 When Aimee posted this gorgeous tiki fabric on Spoonflower, I knew I wanted to do a Hawaiian shirt out of it. At my friend Caitlin's suggestion, I used Simplicity 5581. I think the sizing runs big, so if you're not sure what size to make, I think I would size down. 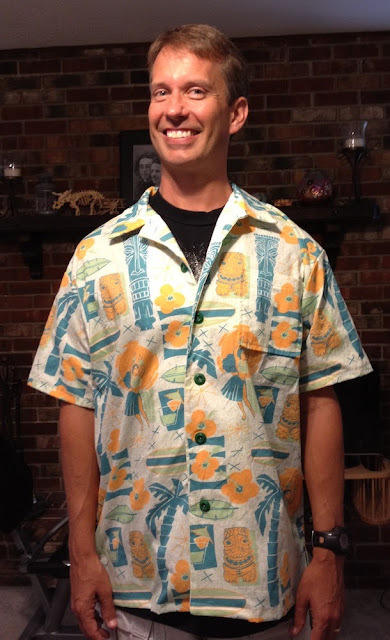 My husband is usually a solid medium and I think the resulting shirt is a little big - but on the other hand, Hawaiian shirts are often layered and are supposed to be roomy.